First off, I have a confession to make. I have never watched an episode of The Real Housewives of New Jersey, nor have I watched any of the Real Housewife series or spin offs. It’s just not my cup of tea. In fact, there are probably many other librarians out there who share my opinion. And that’s perfectly okay because that’s not why I’m writing this open letter to you today. This is not the first time a children’s librarian used this blog before to broadcast their message to a celebrity. In 2012, I fangirled my adoration for Glee’s Chris Colfer for writing a book and encouraging children to read. That same year, Susan Baeir penned an open letter to Kourtney Kardashian about how she admired Kourtney’s commitment to reading and literacy in raising her son. I’m not sure if you, Chris Colfer, and Kourtney Kardashian share many things in common, but I do notice you all share one important trait: you use your celebrity platform to advocate for what’s important to you. Public libraries don’t make the front page of a magazine or a newspaper all that often. It’s practically unheard of for a media outlet such as NBC New York or Bravo TV to feature a story about a parent who had a negative experience at their public library. But on that inevitable day when a public library makes the news, you can bet librarians are listening. I am one of those librarians who is listening. And while my platform is not nearly as large as yours–although the ALSC blog did receive an Honorable Mention by PRNews in the category of “Best Blog!“–I hope my message makes its way to you, Jacqueline, and that you are able to take a moment to listen as well. Thank you, in advance. Librarians–this is for you, too. When I read the story of you and your son’s experience getting kicked out of your public library my heart broke into a million pieces. For you. For your son. For your family members and friends. For other children and individuals with autism who read this story. For other parent advocates who, all too often, have had similar experiences. For librarian parent advocates, who understand what it means to be a librarian and what it means to be a cheerleader for their child with autism. My heart broke for the entire library community. 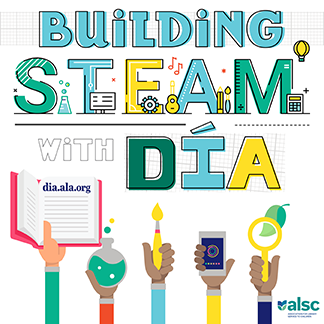 What you experienced does not uphold the core values of librarianship, nor does it speak to the core competencies that ALSC has developed for librarians serving children in public libraries. Time and time again, libraries are cited in research as one of the most valued and trusted institutions. But in this case, Jacqueline, the research doesn’t matter. In this case, libraries lost your trust. And for that, I am deeply sorry. If there’s one thing I want you to know, it’s this: there are librarians who are dedicated to ensuring an experience like this does not happen at their libraries. I myself train librarians across the country how to make their library a more welcoming place to those with autism and other disabilities. One of the things I say in these presentations is to validate people’s experiences and acknowledge their stories. With open ears and an open heart, libraries can receive input to address positive change and make our libraries more welcoming for all. There’s Libraries and Autism: We’re Connected, which originally launched in Scotch Plains, New Jersey in 2008. This project addresses best practices in libraries for people with autism by helping staff improve their ability to provide excellent, inclusive, universal customer service to everyone who uses the library. Targeting Autism: A National Forum on Serving Patrons on the Spectrum is an IMLS grant funded program in Illinois dedicated to increasing the role of the library in supporting patrons and family members impacted by ASD. Phase II of the project is currently underway, which develops and delivers multi-faceted and replicable training programs designed to improve library services and programs for ASD communities in Illinois and across the country. New York’s Project Enable provides professional development for library professionals from all types of libraries in order to build capacity for providing equitable access and services to students with disabilities. The State Library of Ohio received an IMLS grant and launched a digital storytime for children with autism and their families. Librarian and parent advocate Barbara Klipper has developed a grant for all types of libraries, funding innovative projects that promote inclusion of people with autism in libraries. Sensory Storytime is a not-so-new program, making the storytime experience more accessible for families with children with autism. Dakota County Library in Minnesota partners with the Autism Society of Minnesota offering an inclusive monthly book discussion program for young adults and adults with autism and other disabilities. Iowa City Public Library offers Accessible Library Hour programming, so that families with children with autism can visit the library in a calm and welcoming environment. There is even a longstanding networking group of Chicagoland youth and young adult librarians who support one another’s efforts to provide specialized services and programs to children and teens with disabilities in libraries through collaboration and training. Librarians know that public libraries have not always been a welcoming place, and librarians themselves have not always had the best reputation. What we librarians can and should focus on is how to improve our service and do better going forward. And there is no better person to advocate for a child’s right to access and be welcome at a public library than his or her own parent. So, thank you, Jacqueline. Thank you for using your voice and sharing your family’s experience with your local public library, as difficult as it may have been. I also want to thank you for leveraging your platform and sharing your family’s experience with the broader American public. As John Cotton Dana once said, “The public library is a center of public happiness first; public education second.” The only way for libraries to know if their community is satisfied is through authentic and regular feedback. After all, we can only do better when we know better. I hope your story will motivate the broader library community to reflect on its own awareness and capacity regarding inclusive customer service to those with autism and other disabilities. I hope your story will reach library school students, along with their library school professors, who will take the opportunity in an academic setting to learn all they can about community engagement and inclusive customer service and be prepared for their first librarian job. I hope your story will inspire Public Library Directors to share this story with their staff and use this as a talking point, encouraging discussion about what they can do to prevent a situation like this from ever happening at their library. I hope your story will validate other parent advocates with similar experiences and encourage them to share feedback with their local libraries. I hope that this year’s Autism Acceptance Month will not be remembered for the negative experience you and your son had, but for the ripple of positive change that you affected in your local library and other libraries across the country. But most importantly, I hope you know that I am grateful you brought your son to the library that day. And I hope you will one day consider doing so again. Nicely written post, Renee! An important message of awareness and acceptance for all libraries and other public spaces. These are wonderful resources and training opportunities. There are so many fantastic inclusion initiatives that can be found nationwide and online, most of which are free, so there is a staff development opportunity for everyone! For ALSC to post this is irresponsible. There is more to the story than what has been reported in the media. I’d suggest doing more research before castigating your colleagues. Whether or not there is more to this story, this is a statement about inclusion in public spaces. What happened in this instance is perhaps insignificant. What matters is we all need to step up to ensure people with various challenges are welcome, supported, and included in library spaces… and that there are educational resources and guidance available to help this happen. Are you saying all people should be welcomed and included in library spaces even at the expense of others? Are you saying there are no boundaries? In my experience, I can imagine there are likely two or more sides to the news story. Rather than a tragedy, maybe what happened was a particular situation with no good resolution for everyone. Renee, I think this is a beautiful piece as a statement of how libraries should welcome autistic and otherwise disabled children in public spaces. I’ve often wondered if libraries could harness the “hidden talents” of some autistic kids a bit better. What do I mean by this? If you have a child who loves to come in, look at the DVDs, and will pull out those DVDs that are clearly scratched up and likely unwatchable, why not ask them to help you weed?! There are some other issues that this story brings up for me, as an autistic person – namely, the outsized power that parents of autistics (especially when they’re rich or famous) have in conversations about how autism is represented, and the questionable ethics of publicly documenting a disabled child’s struggles. But you’ve done a great service with this article – thanks! If you don’t make the public library welcoming no one will want to come anymore. I feel there should of been compassion for Nicholas that is just human kindness. Why doesn’t the library have a day for autistic children so if there is a behavior that might be offensive to people. (those who live under a rock) they can enjoy the day and what the library offers. Please people open your minds, walk a day in Jacqueline shoes and see if your opinion would be different. Human kindness…………. That is exactly what I was thinking. Some autistic behavior is repetitious and noisy. Granted there should be inclusion, but in order for the librarians to learn how to work with this community of children, it might be more effective to have the children and their parents meet on a regularly scheduled day. Then the children will be free to learn to work together in groups and the librarian will learn how to work with autistic youth and their parents. I didn’t read the parent letter, but I would think a more impactful move would be for that parent to volunteer to work with the branch to arrange reading time and interactive activities with this specific population, which is a more pro-active approach. Thank you, Renee, for leading us through another painful episode with grace, wisdom and compassion and turning a negative event into peaceful resolution. Much appreciated. It is very true; some public librarians need re-training in creating an inclusive welcoming environment for Special Needs and other patrons who need compassion.